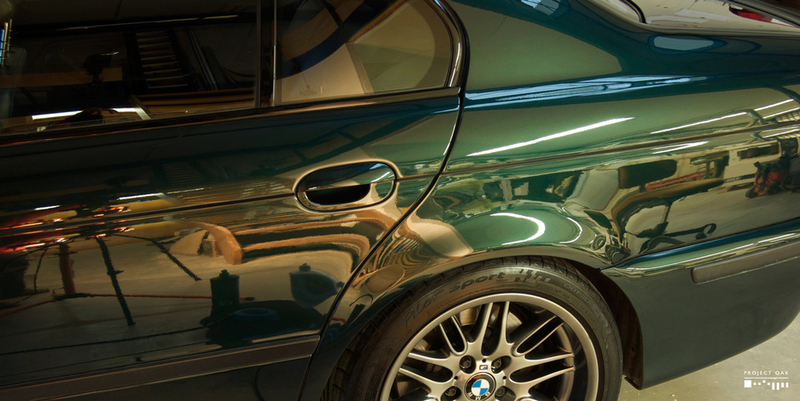 A daily driver, rarely washed and harshly used, this Oxford Green M5 - a rare M5 colour reproduced only 242 times - with 268 000km on the clock, was in dire need of the love and attention that a good detailing session provides. Taking advantage of the owner's winter vacation abroad, this M5 was left on our premises during those weeks for a complete clean inside and out. Filthy is a way to describe the condition at the start of the detail. There was mud splattered all over the outside. The paintwork was covered in a thick film of dirt and grime that was settled for too long, leaving the dark green with no shine or gloss. The exhaust pipes were black with soot and rust, showing no shine. The wheels were grey with dust and sprinkled with tar spots. Overall, this M5 was in a condition that I've never seen before for a car like this. This was to be a great turnaround! The arrival condition of this Oxford Green M5. The wash process began with a thorough clean of the wheels and tires, so that dirt and wheel cleaner that may splash onto the paintwork, will get rinsed and washed afterwards. 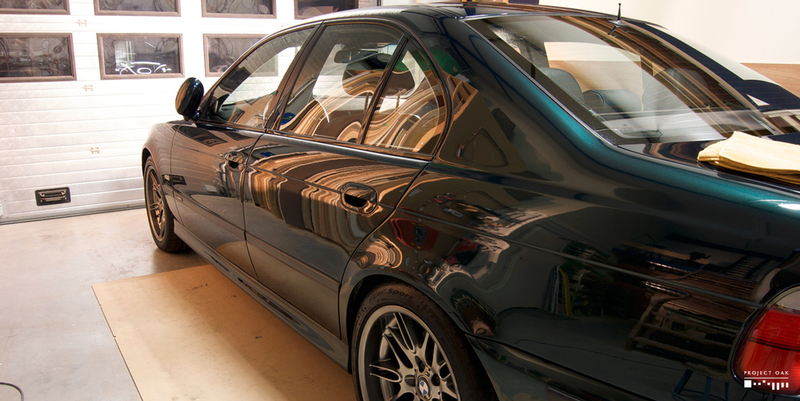 To help dislodge the dirt from the paintwork, the M5 was foamed before being washed with a soft lambswool mitt and two bucket mode technique. 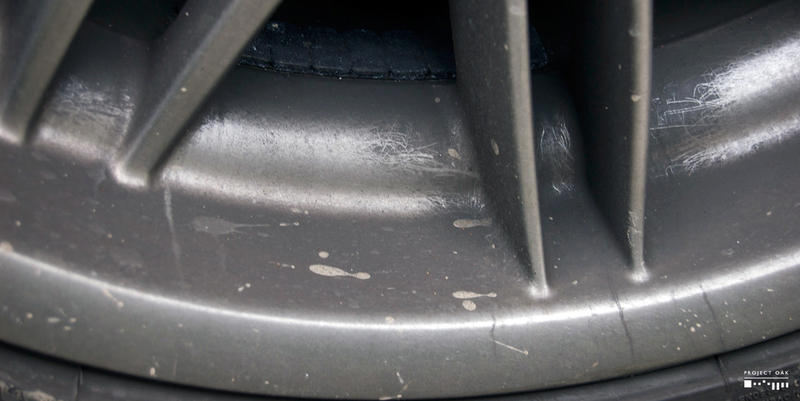 Tar spots were removed from the lower parts of the paintwork and wheel faces. Clean, but with the paint still feeling very rough, the M5 was decontaminated with an aggressive clay, before being washed once more, dried and stored for polishing. 50/50 of style 65 wheel being cleaned. 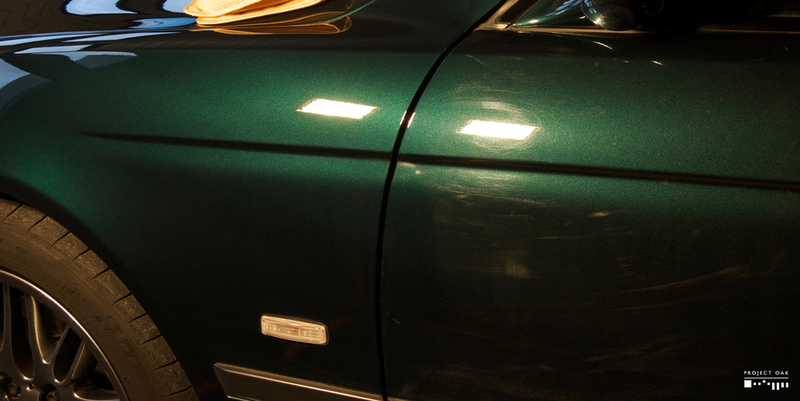 Showing some heavy swirls and random deep scratches, the process to restore this Oxford Green was a 3 stage polishing: Compound to remove the heavy damage, Polishing to begin refining and light correction and Finishing to flatten the surface, increasing gloss and reflectivity. A Paint Thickness Gauge (PTG) was used to measure how much clearcoat the paint had to safely remove the damage. Some isolated areas were showing low readings of 40um and for those extra care and a softer combination of pad and polish were used. 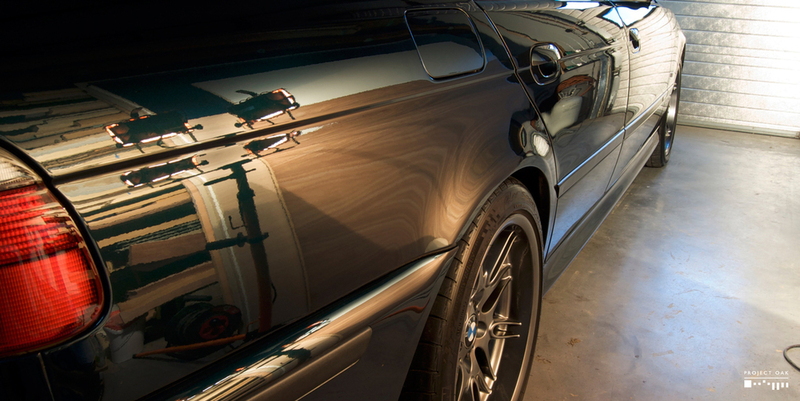 After polishing, the paint was cleansed and 2 layers of Concours Wax were applied. The damage as seen with the halogen lamps. 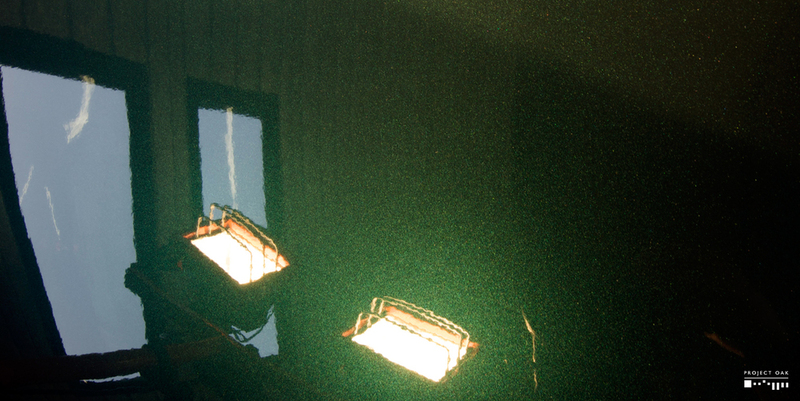 A 50/50 picture that shows the difference between polished (left) and unpolished (right) paint. 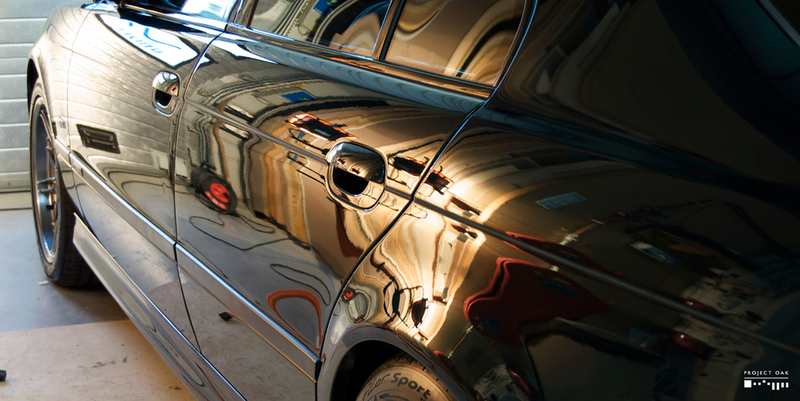 With every blemish and scar removed, the paint is free from disturbance to reflect light. 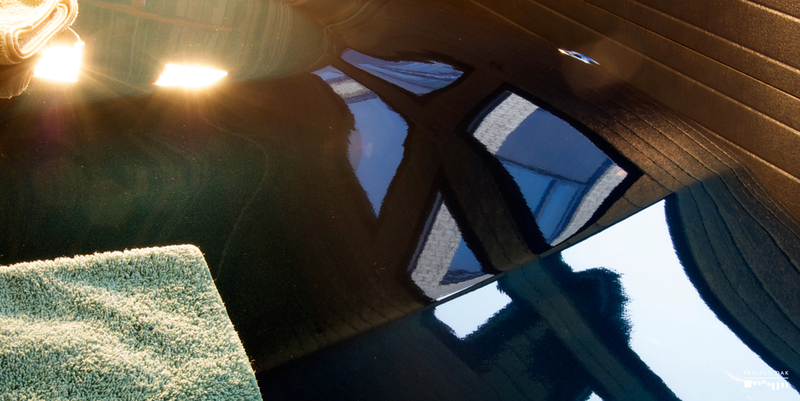 After the polishing, this Oxford Green felt and looked like new: It was glossy, highly reflective and showing a depth of the dark green that it simply did not have before. The now clean interior, specially after the leather treatment, was inviting and ready for many kilometers of comfortable driving. Many tens of hours were spent turning this M5 around, but seeing this end result on this very used M5, made every single minute of detailing effort worth it.